I’m really making the most of Wild Garlic this year. This delicious wild herb grows just down the lane from me and is a fantastic flavouring for all sorts of savoury dishes. Known also by the name ‘Ramps’ or ‘Ramsons’, it has a delicate oniony-garlic taste that I love paired with cheese, typically in pastas. Yesterday I decided to make something a little different though and took the wild garlic and cheese combo to the next level – homemade pizza. 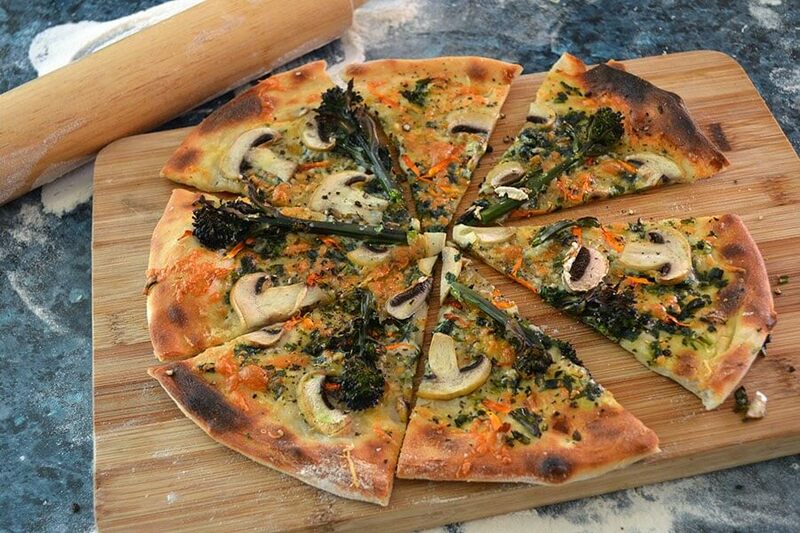 It’s easy enough for anyone to make and you can put whatever other toppings on that you’d like. 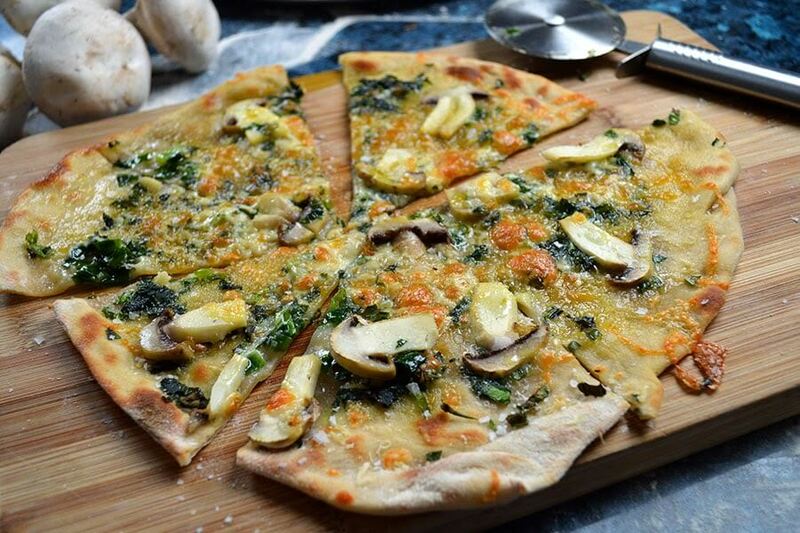 I’ve gone for a ‘white’ pizza (no tomato sauce) and have topped it with mushrooms initially then mushrooms, purple sprouting broccoli, Calendula flower petals, and basil on the second one. I literally used what I’d picked from the garden and foraged from the glen yesterday. 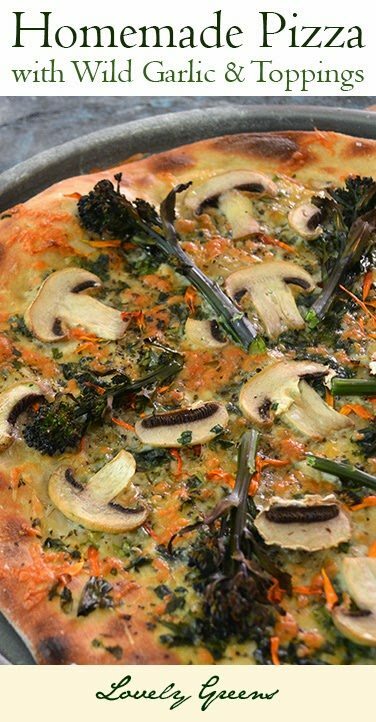 But add whichever toppings you’d prefer – pizza is a food that lets you get creative! Handmade Pizza Dough – I used Pizza dough flour from the Laxey Glen Mill and the instructions from Jamie Oliver’s website. Divide the quantities by three to make dough for just three pizzas. 1. 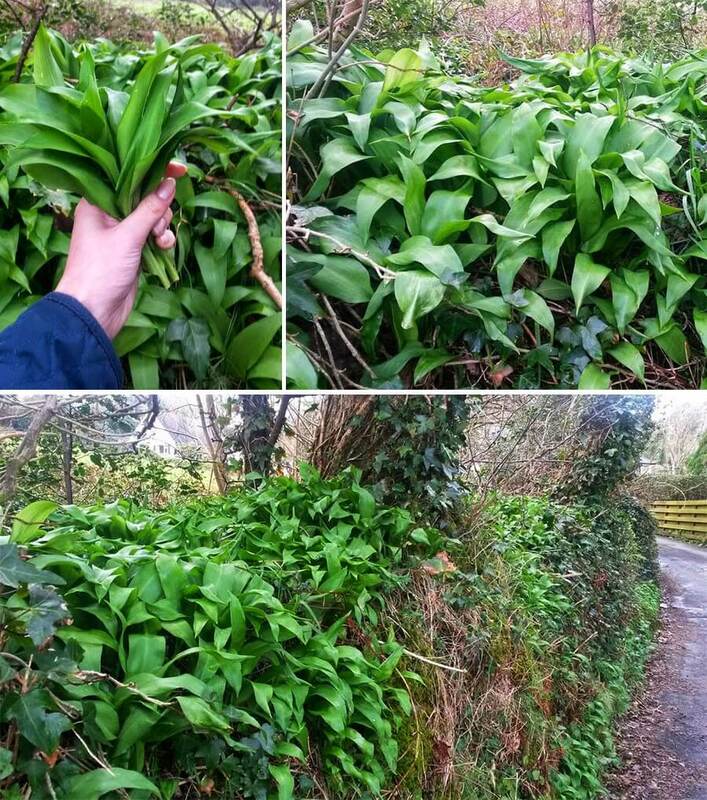 First forage for your Wild Garlic. It grows in cool, shady, wet places and is available in early spring. For more information on how to find and identify it, please visit this link. 2. Make your pizza dough – it’s fairly straightforward but will need at least an hour to rise. 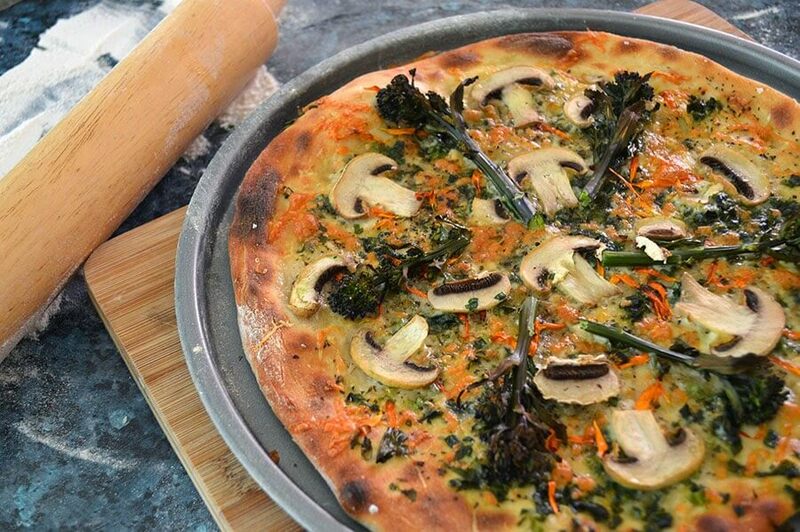 If you can find pre-made pizza dough then that may be another option for you. 3. Preheat your grill to medium-high or oven to 200°C / 400°F. 4. If you’ve divided the Jamie Oliver recipe by three, as I’ve done, you’ll have enough dough for three pizzas. Take the first lump of dough, dust in flour, and roll it out with a rolling pin so that it comfortably fits on your baking tray or pizza stone. I have an inexpensive pizza tray with holes in the bottom that makes sure that the bottom of the pizza gets crisp too. 5. Drizzle with the olive oil, sprinkle your wild garlic on top, then the cheese. Arrange your toppings over the cheese and then sprinkle sea salt. 6. Bake in the oven for 8-10 minutes or until the pizza crust has browned and the cheese is bubbly. Wow it's wonderful. Looks so delicious. Seems easy. Am gonna try this. Thanks for the photos. Look so delicious! Thanks to share the recipe! I can just imagine the smell! We don't have wild garlic here but I do use wild garlic chives in cooking this time of year. The cows used to eat them in the spring and produce garlic milk which I remember my grandfather being upset about as people didn't want to buy it. It may have made a wonderful cheese though. What an amazing idea…to make cheese from milk spoiled by garlic chives. Yum!